An expression of non-boolean type specified in a context where a condition is expected, near ''. Step 3: Click on debug button or press Alt + F5. Debug button has shown in following screen by read oval. Step 5: Repeat the step 4 to go to the next line. 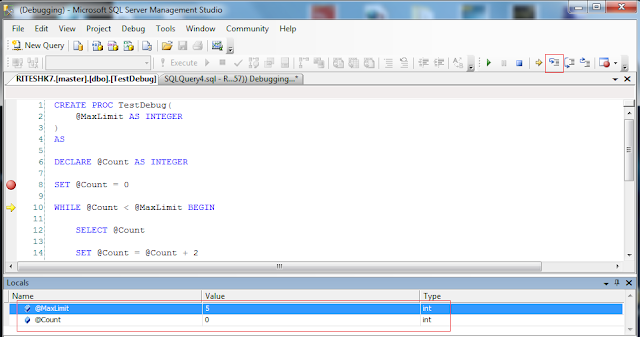 Also at bottom in the Locals window you can get values and data type of the local variable. Note: In debugging mode we can edit the value of variables. 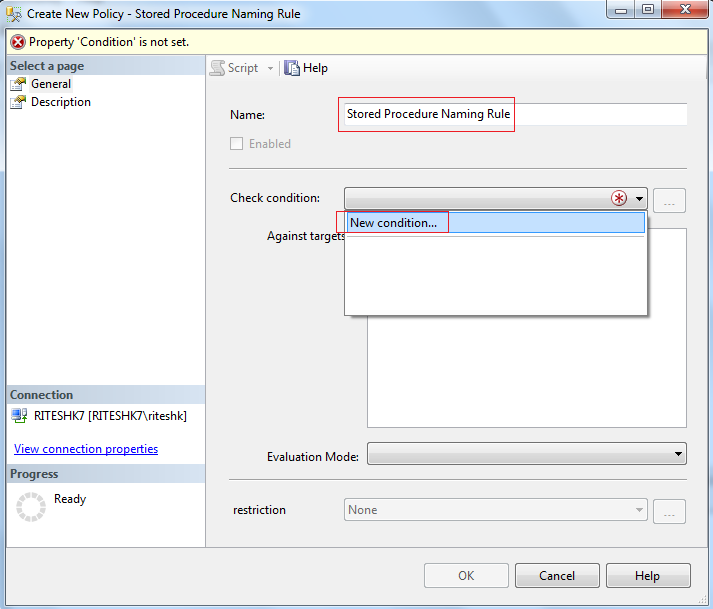 We can restrict or forced the users to follow stored procedure naming convention by using policy based management in sql server. 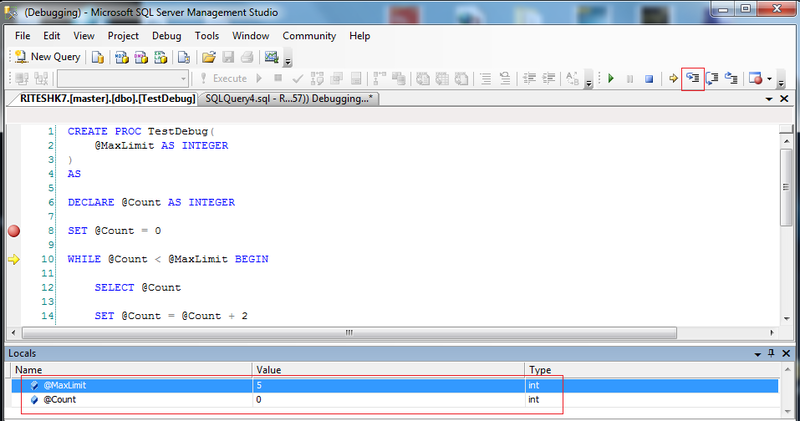 I am explaining it by using sql server management studio (SSMS). In this example user must have to keep prefix usp_ in the name of stored procedure in the specific database. 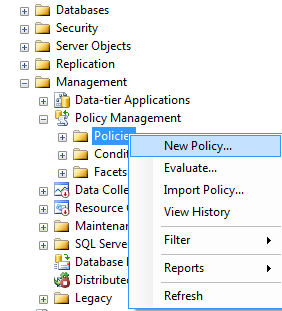 Name: We can write any name of policy. 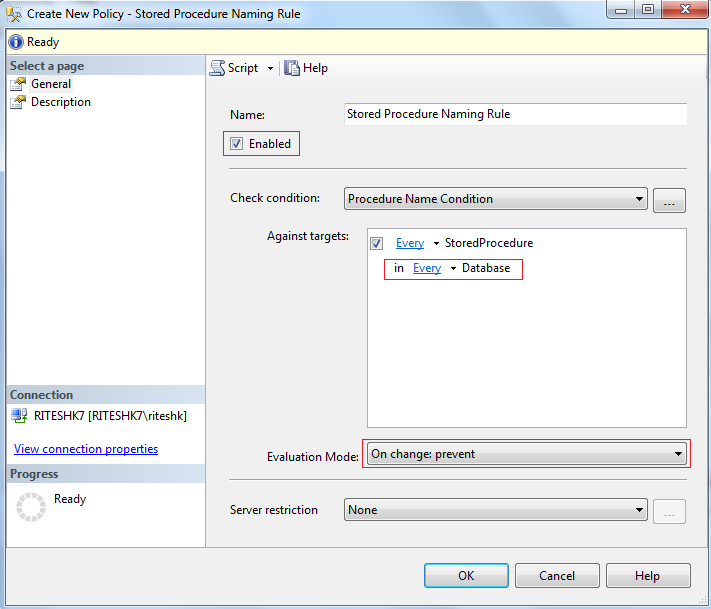 In this example we are writing Stored Procedure Naming Rule. Now we are going to click on new condition in the check condition drop down to add the conditions. Name: We can write any name of the condition. 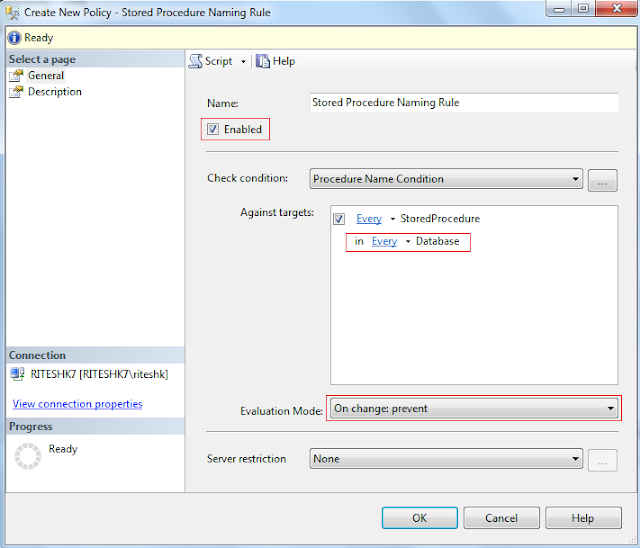 In this example we are keeping Procedure Name Condition. Facets: Choose stored procedure in the drop down. Field: On which property we want to put condition. 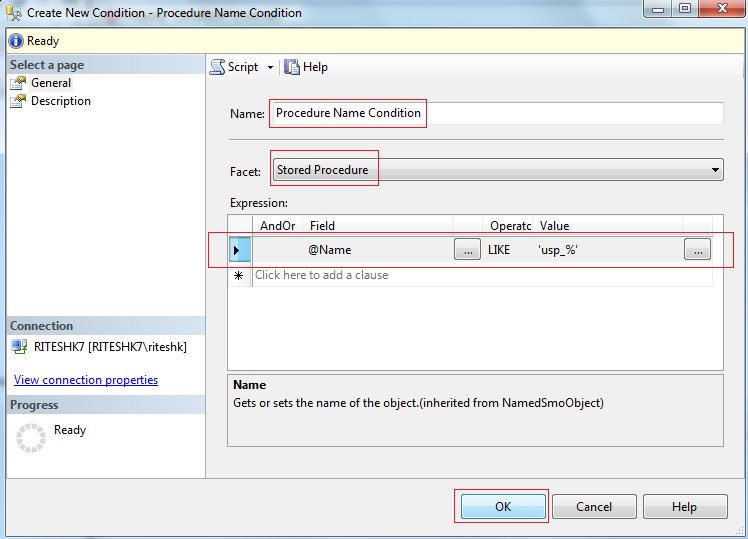 In this example we are choosing @Name which implies name of the stored procedure. Operator: in this example we are choosing LIKE operator. Enabled: We are checking it to enable it after its creation. Evaluation Mode: In this example we are choosing On Change:Prevent. 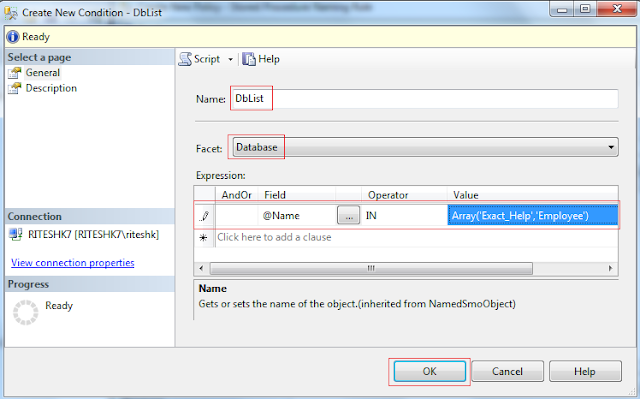 It means this event will occur if user will try to create or alter stored procedure name. Then click on OK buttons. Policy 'Stored Procedure Naming Rule' has been violated by ''.